February 14, 2019 – Ville de Gatineau and the Ottawa Senators Foundation today inaugurated the Senators skating rink at parc Saint-Gérard. This is the fifth skating rink under Gatineau's partnership with the Senators Foundation. 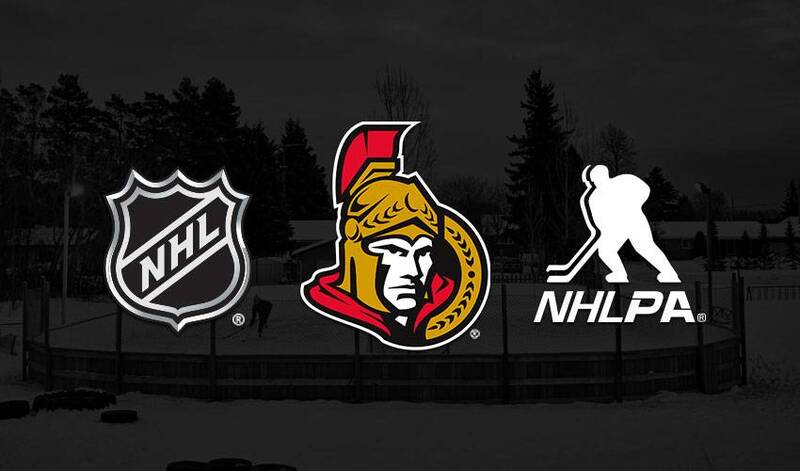 The National Hockey League (NHL) and 24h Tremblant are key partners in the project. This fifth Senators skating rink measures 46 by 21 metres (150 by 68 feet). hockey nets; and basketball hoops. The surface lends it self to other sports and community activities in the park. The Senators Foundation, 24h Tremblant and the NHL looked after building and setting up the skating rink (approximately $250,000). Ville de Gatineau provide d the land, and is in charge of installing the lighting. The skating rink will be maintained by the Association du centre communauta ire Saint-Gérard, which is receiving a $3,500 subsidy from Ville de Gatineau to that end. Municipal subsidies are also available for summe r and winter supervision and programming at the site. In August 2018, Ville de Gatineau fixed up the play area and added a splash pad (approximately $410,000). the Traversier Bourbonnais SENS RINK in parc Jack-Eyamie. “We were truly fortunate to have been part of this community project leading to _ve new skating rinks in Gatineau. This partnership promotes activity and fosters the sense of community by providing top quality gathering place. I would also like to thank the other partners who joined the Senators in this tremendous adventure. I truly hope that we will have the opportunity to pursue our partnership with the Ottawa Senators Foundation in the years to come,” declared Gatineau Mayor Maxime Pedneaud-Jobin. "The 24h Tremblant is very proud of its long-standing partnership with the Ottawa Senators Foundation and our collective community investments in the National Capital Region. Our visions and values are aligned and we are motivated by children's causes that will result in greater access and opportunities; all with the goals of promoting physical as well as mental well-being. We are thrilled to see this _fth community Sens RINK open in the Gatineau region and know that it will be well-used by kids and families in this neighbourhood for years to come," said Simon St-Arnaud, Executive Producer, 24h Tremblant.